Scalded Flea ...: Hike in! 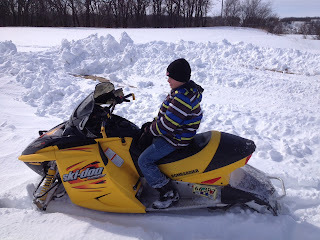 The property for so much snow this year that the boys have to snowmobile/hike in. Don't envy Brad right about now.